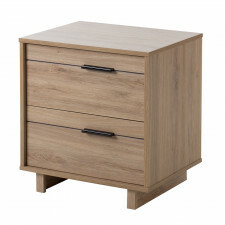 This practical 4-Drawer Chest is both stylish and perfectly suited to everyday storage needs and goes really well with the look you've always wanted for your little sweetie's room. 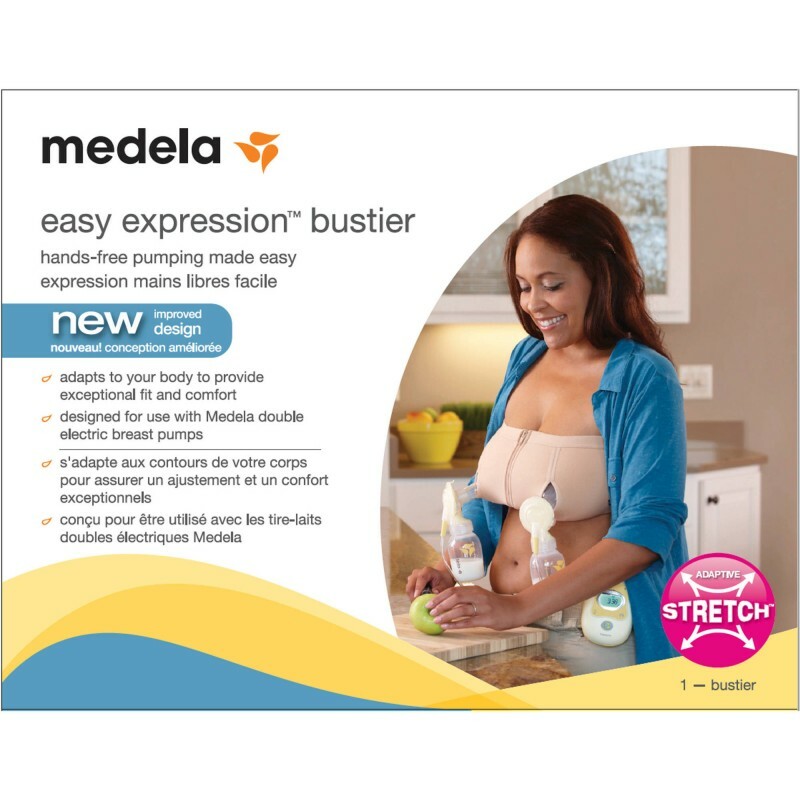 We designed it for moms-to-be who would like soot.. 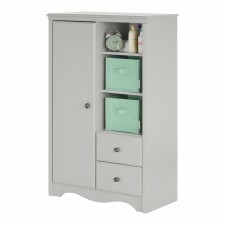 This practical armoire goes really well with the look you've always wanted for your little sweetie's room. 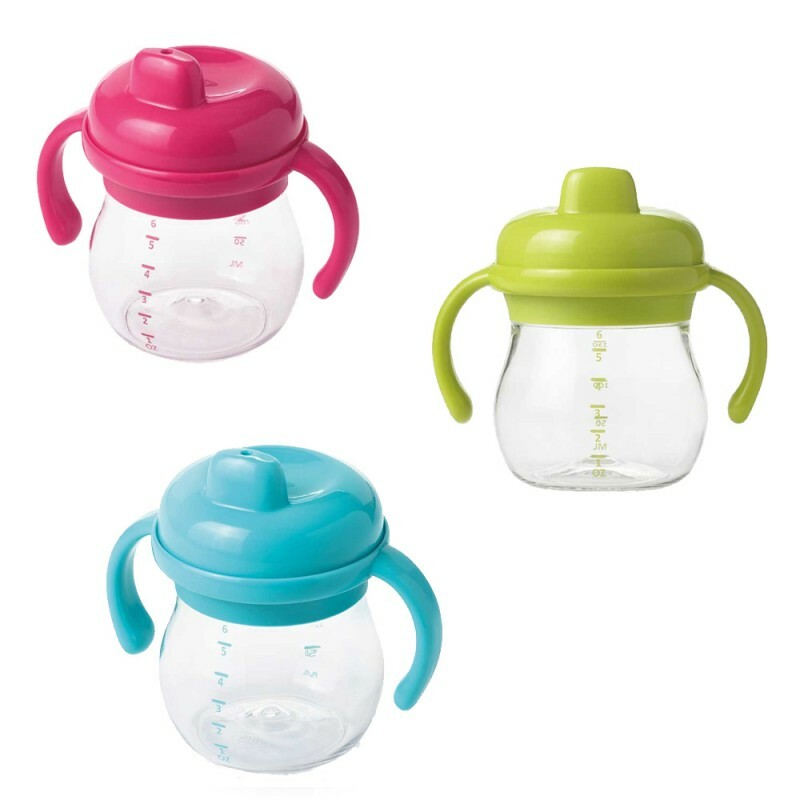 We designed it for moms-to-be who would like soothing pastel tones in a nice calm setting, or a lot of color with a touch o.. 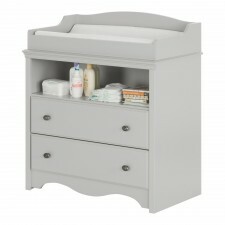 This practical changing table goes really well with the look you've always wanted for your little sweetie's room. 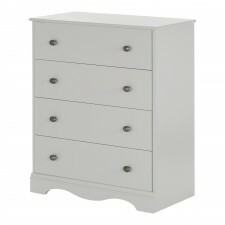 We designed it for moms-to-be who would like soothing pastel tones in a nice calm setting, or a lot of color with a ..
Straight out of a child’s story book world, this changing table featuring rounded shapes gives you the original style you want for your baby’s room. 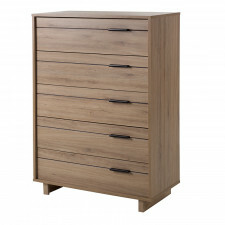 Its multiple storage spaces give you a practical, safe way to see to take care of.. 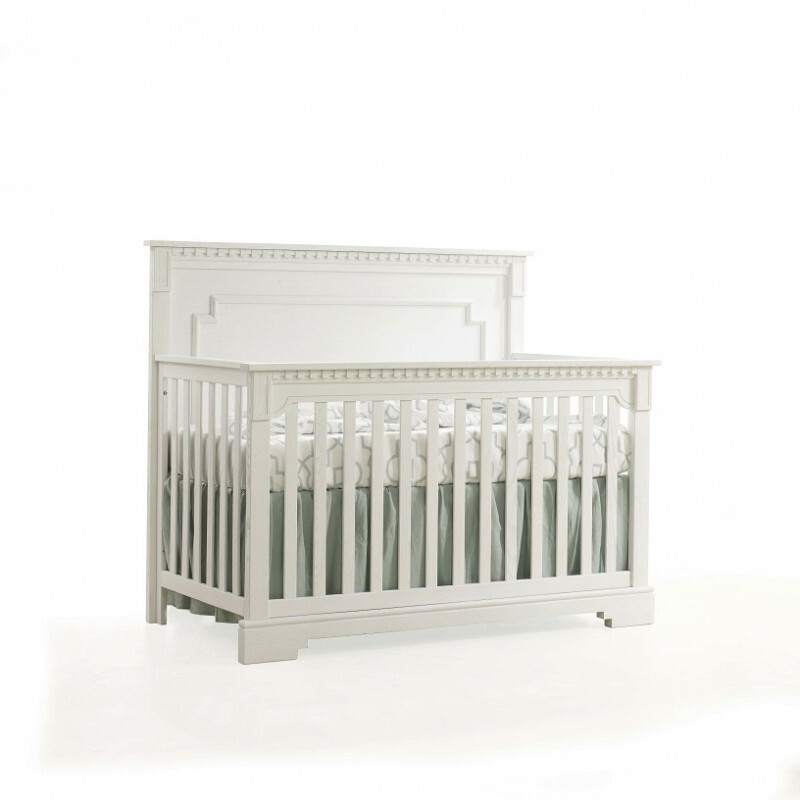 The simplicity of this collection go nicely with your nursery décor, whether you have a girl or boy — you just need to vary the wall and accessory colors. 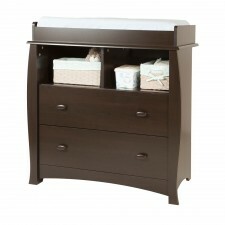 This changing table appeals to moms with trendy or more eclectic tastes .. The decoration of the baby's room is important so that they are always at ease. South Shore has launched its new baby bedding sets collections. The pastel colors of the Doudou The Rabbit bed set gives a soothing and comfortable to.. The decoration of the baby's room is important so that they are always at ease. South Shore has launched its new baby bedding sets collections. The blue combiantion colors of the Nautical collection bed set gives a soothing and co..
Children need to feel comfortable and safe in their room surrounded by a pleasant atmosphere. 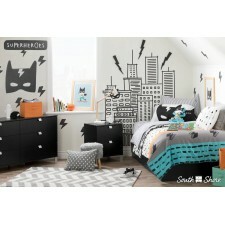 South Shore has launched its new collection of bedding for children's rooms. The Dream in Colors collection includes a contrast of color..
Children need to feel comfortable and safe in their room surrounded by a pleasant atmosphere. South Shore has launched its new collection of bedding for children's rooms. 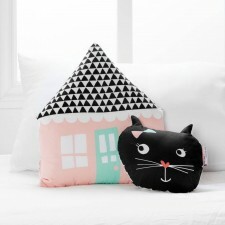 The Night Garden collection includes a contrast of colors t..
A pink house and an endearing cat’s face pillows are like two treats for your princess's hideaway. that will add a sweet touch to her little world! 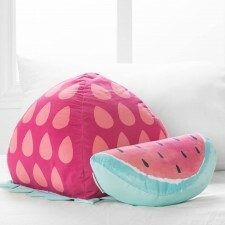 Includes a house throw pillow and a cat throw pillow House pillow : 15 " X..
One a slice of watermelon, the other a strawberry, are treats for the eyes. Fun, thrilling, comfy soft and colourful, they give a zesty touch to make your little one’s room a little tastier. You can complete the room's decoration .. These Superhero-themed throw pillows will become your boy's favourites, they are fun and comfy soft. Bring your boy’s bed to life by adding originality and character to his room. 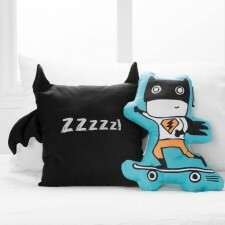 Includes a bat throw pillow and a superhero t..
A perfect combination whit the Nigh Garden bedding set. 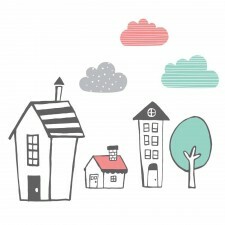 Your princess could enter an imaginary world with the pastel clouds and the little houses. 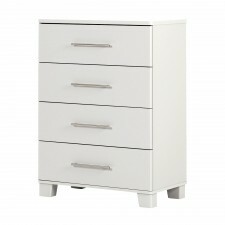 Delicate colours for a truly original touch in your girl’s bedroom. 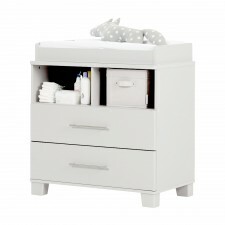 Includes ..
You probably agree with us that kids also have a right to a modern-looking room! 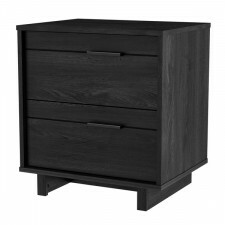 This Fynn collection night stand, with its asymmetric lines and trendy finish, gives you free rein when choosing accent colors. Go with a funky, uncl..
You probably agree with us that kids also have a right to a modern-looking room! 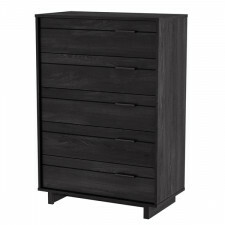 This Fynn collection five-drawer chest, with its asymmetric lines and trendy finish, gives you free rein when choosing accent colors. Go with a funky..
You probably agree with us that kids also have a right to a modern-looking room! 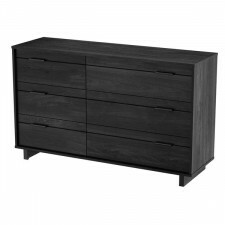 This Fynn collection dresser, with its asymmetric lines and trendy finish, gives you free rein when choosing accent colors. Go with a funky, unclutte..